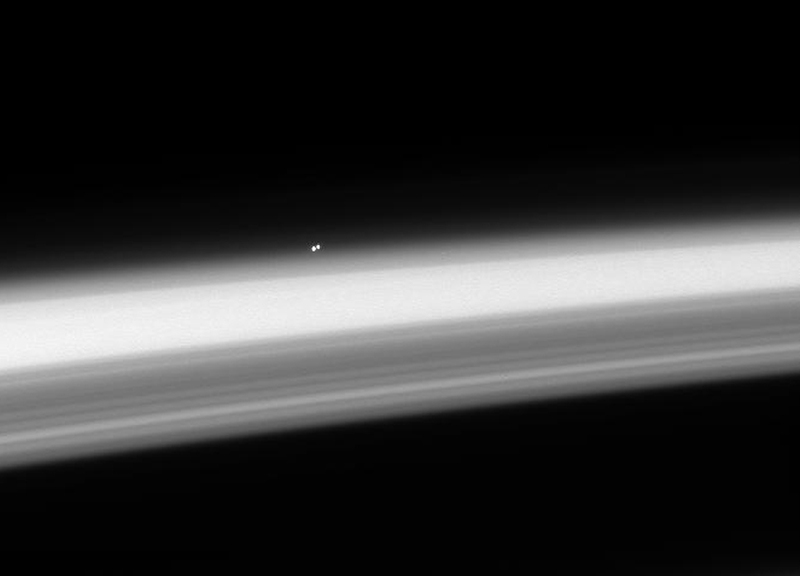 This image shows the stars Alpha Centauri A and Alpha Centauri B just above the edge of the cloud tops in Saturn’s atmosphere, as seen by the Cassini spacecraft. The two stars are part of the Alpha Centauri triple star system, which is the closest star system to our Solar System, but is still almost 30,000 times farther away from us than Saturn is. The image was taken on May 17, 2008, at a distance of 534,000 kilometers (332,000 miles) from Saturn.